Two UC Santa Cruz humanities professors have been selected to receive 2007 Guggenheim Fellowship awards. History professor Gail Hershatter and history of consciousness professor James Clifford were among the 189 artists, scholars, and scientists selected this year from 2,800 applicants for awards totaling $7,600,000. Guggenheim Fellows are appointed on the basis of distinguished achievement in the past and exceptional promise for future accomplishment. The program considers applications in 78 different fields, ranging from the natural sciences to the creative arts. Hershatter has been director of UCSC's Institute for Humanities Research since 2002 and codirector of the Center for Cultural Studies for the past 11 years. An expert on Chinese history, her research since 1996 has centered on the investigation of rural Chinese women during the period of early socialism. She will use the fellowship, in conjunction with an award from the Center for Advanced Study in the Behavioral Sciences at Stanford, to write a book based on this research entitled "The Gender of Memory: Rural Women and China's Collective Past." Hershatter's previous book credits include Dangerous Pleasures: Prostitution and Modernity in Twentieth-Century Shanghai (1997), which received the 1997 Joan Kelly Memorial Prize in Women's History of the American Historical Association. 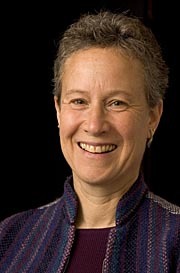 She is also the author of Women in China's Long Twentieth Century (University of California Press, 2007), and coeditor of A Guide to Women's Studies in China (Berkeley: Institute of East Asian Studies, 1999). 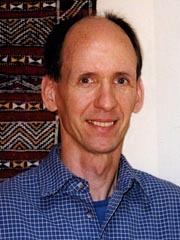 Clifford was the founding director of UCSC's Center for Cultural Studies. He is best known for his historical and literary critiques of anthropological practice, travel literature, and cultural performances. The Guggenheim Fellowship will enable him to take a full year sabbatical to finish writing a book on "Indigenous Cultural Politics" that he has been researching for nearly a decade. The book will contain detailed case studies from California, Melanesia, and Alaska as Clifford examines what it means to be "rooted" in a world where everything seems to be in motion. Clifford's new book will complete a trilogy-the widely influential first volume The Predicament of Culture (Harvard University Press, 1988) wove together his essays on 20th-century ethnography, literature, and art, and has been translated into seven languages; and the second, Routes: Travel and Translation in the Late 20th Century (Harvard University Press, 1997) explored issues of dwelling and travel in anthropology, travel, tourism, and a range of cultural performances. Both Hershatter and Clifford were honored in 2004 as two of the first recipients of the UC Santa Cruz Humanities Distinguished Professor Award for outstanding research achievement.